I’ve reviewed so many AdWords accounts for potential clients that I thought I’d pretty much seen it all. Then a couple of weeks ago a prospective client asked me to review their account. They were spending about £5k a month and so I expected to see some level of sophistication in the build. What I found was one campaign, with one AdGroup containing ONE keyword! AdGroups filled with hundreds of keywords of varying match types. No one trawling through the SQ report looking for negatives to add. Lack of Ad variations / extensions. No activity in the change history report. Well agencies are unregulated. Anyone can write a bit of blurb (or copy and regurgitate it) and put it on their website proclaiming themselves to be AdWords Experts. They might even invest in a copy of Perry Marshall’s latest book. Let’s be honest, it is not very difficult to set up an AdWords account. But it is difficult to set up and manage a GOOD AdWords account. Unfortunately, most people don’t know the difference between them – until they’ve spent a load of money and got zero results. The danger for those of us doing a good job (well we’d like to think so) is that as more and more people have bad experiences it just builds a negative image of our industry. Before you know it, we’ll be the new ‘second hand car dealers’ or ‘Estate Agents’ of digital – viewed with distrust whenever we mention what we do. I sense it talking to new clients, they’ve had at least one or two bad experiences with other agencies, they were going to give up, but someone convinced them to give AdWords another go. So you start the relationship not even having to just build trust in what you are going to do, but firstly you have to undo all the negative experiences they previously endured including distrust in the platform! What should you look for to avoid a bad experience? If you are reading this and considering an agency to take over your AdWords, what should you look for? 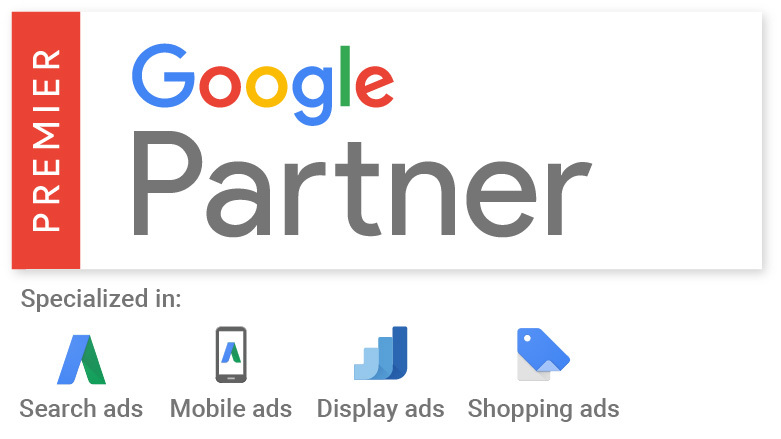 Look for the Google Partners badge, preferably find a Premier Partner. By signing up to the Partner program, an Agency has to go through a certain level of training and hit performance thresholds. If it’s a smaller multi-disciplinary agency find out if the person / people who will be managing your account focus solely on PPC. IF they are also web developers, email marketers, making the tea as well as PPC then they just won’t know what they are doing – AdWords is now such a large subject that it’s a full time job. It may seem a little old-fashioned, but any good agency should be happy to put you in touch with an existing client who’s happy to share their experiences of the service you are considering signing up to. Often reviewing an account, I’ll have a look through the account change history and the sum total of changes made are bid changes. A couple of pence up here, a couple down there. Up one week, down the next. Sometimes agencies do it to justify their fees by leaving a trace in the account. Sometimes people do it because they are probably fresh out of other ideas to improve performance – so best do SOMETHING. HEADS UP - Google Ads is moving towards automated bidding and has been for some time. If you are self-managing your account consider using an automated bid strategy suitable for your goal..